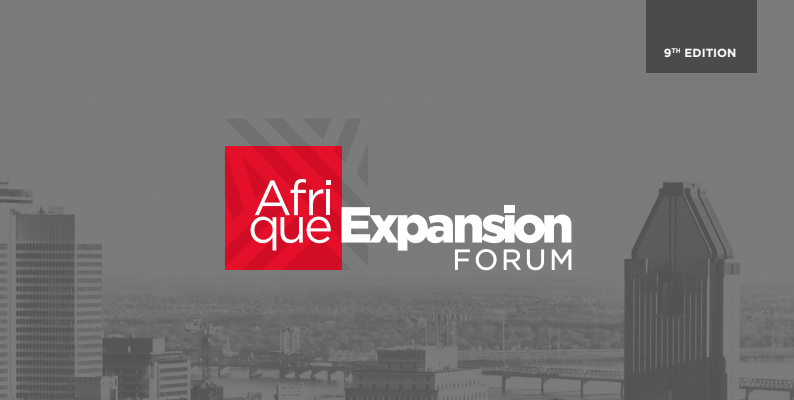 Montreal, November 2, 2018 – The 9th edition of Forum Afrique Expansion will be held September 4 and 5, 2019 at the Centre Sheraton in Montreal. The event will attract over 500 African and Canadian investors, entrepreneurs and decision makers who will gather to forge partnerships and discuss business opportunities between Africa and Canada. “Africa interests and attracts investors from around the globe. The Chinese, the British and the Americans are waging a war for market share in all sectors. Canada must not stay on the sidelines,” emphasizes Amina Gerba, the event’s president and initiator. With the participation of numerous delegations from some 20 countries, FORUM AFRIQUE EXPANSION is unquestionably the largest Canadian platform for Africa-Canada partnerships, and the authoritative event for better understanding the realities of doing business in Africa. The event also highlights the competitive advantages and incentives for investors and project bearers interested in African markets. FORUM AFRIQUE EXPANSION’s activities include conference luncheons and several workshops. The upcoming edition’s main themes will be Energy; the Digital Economy; Agrifood; Project Financing; and Foreign Direct Investment. The event will close with a gala dinner, during which awards of excellence will be presented to those companies and individuals who made exceptional contributions to Africa’s development in the past two years. Launched in 2003, Forum Afrique Expansion is the largest networking platform in Canada dedicated to Africa-Canada partnerships and business opportunities. The event, which is organized by Afrique Expansion with support from the African Export-Import Bank (Afreximbank) and the Government of Québec, facilitates the creation of ties between African, Quebec and Canadian businesspeople. As well, it helps participants familiarize themselves with the political situation and business climate of African countries.